The Fed did nothing. What now? The Federal Reserve once again sat tight and left interest rates near zero -- where they have been since December 2008. Maybe the Fed's favorite indie rock band is The Hold Steady? The Fed cited concerns that "recent global economic and financial developments" -- a thinly veiled reference to China -- could dampen the economy and lead to lower levels of inflation. Traders (both flesh and blood and the computer algorithm kind) seemed unsure how to react to the news. Stocks bounced around immediately after the decision. 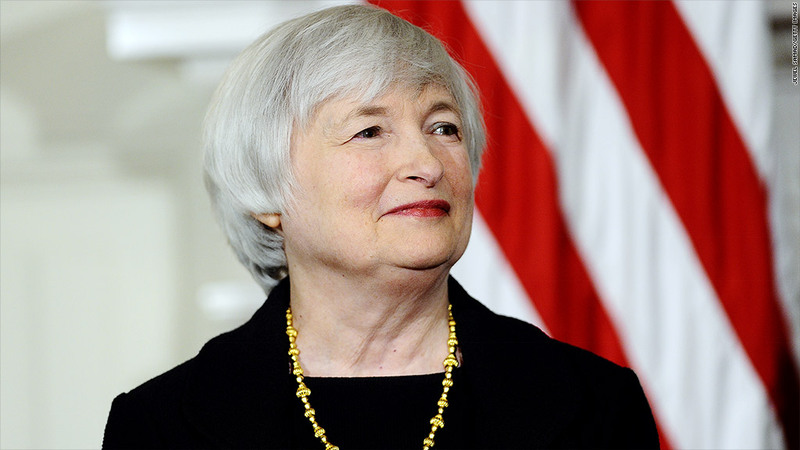 But the Fed's move has big implications beyond today. So what should long-term investors (some of you are still out there, right?) do now? Make no mistake. A rate hike -- like winter on "Game of Thrones" -- is still coming. It's probably going to be December. "Nothing has changed. The Fed is going to hike rates eventually. The U.S. economy is strong enough to handle that," said Brent Schutte, senior investment strategist for BMO Global Asset Management. With that in mind, Schutte said investors should probably stick with large blue chip stocks. They will be able to benefit the most from an improving economy in the United States. Jim Margard, a portfolio manager with Rainier Investment Management, said focusing on companies with a big U.S presence is a good way to position your portfolio. The Fed's coming rate hike could make the dollar stronger, which is better news for firms that don't have as much overseas exposure. What's more, the looming decision to raise rates in the first place is further evidence that the Fed believes the U.S. economy is fairly healthy. Margard likes grocery store chain Kroger (KR), floor and carpeting company Mohawk (MHK) and airlines JetBlue (JBLU) and Southwest (LUV). Tom Forester, manager of the Forester Value Fund, also thinks that a defensive mix of companies with most of their revenue from the United States is the way to go. Some of his top picks? Drugstore giant CVS (CVS), insurer UnitedHealth (UNH), big electric utility Southern (SO) and consumer goods conglomerate Jarden (JAH), which owns Yankee Candle, Crock-Pot and Mr. Coffee. There was one sector of the market that was a clear loser Thursday: banks. An eventual interest rate hike will help financial firms. Simply put, they charge higher rates for mortgages, credit cards and other loans once the Fed boosts short-term rates. That would boost the banks' profit margins. Shares of megabanks JPMorgan Chase (JPM), Bank of America (BAC) and Wells Fargo (WFC) all turned lower after the Fed's decision. So did shares of regional banks Fifth Third (FITB), PNC (PNC) and SunTrust (STI). "Postponing a rate hike is going to put pressure on the banks' margins for even longer," said Gary Cloud, portfolio manager with the Hennessy Equity and Income Fund. The bond market rallied -- with prices going up and rates heading lower -- after the Fed's move. The 10-Year Treasury yield fell to 2.2% -- from 2.3% a day earlier. That's a pretty dramatic move for bond yields. Many experts have been predicting for some time that bond yields must move higher soon. But this amazing bull market for bonds that has lasted for decades may not be over yet. "There has been an almost one-way trade for 30 years in bonds. The drop in yields is extraordinary." said Luke Hickmore, a fixed income manager with Aberdeen Asset Management. Another reason for bond investors to be relieved? It looks like the Fed is not planning to increase dramatically anytime soon. Mike Collins, portfolio manager for Prudential Fixed Income's total return bond fund, noted that the Fed's so-called dot plot of interest rate targets shows that rates will be lower in the long-term than once thought. "Investors can still look for opportunities in the bond market," he said, but he added that corporate bonds and high-yield bonds may now be more attractive than short and long-term Treasuries.